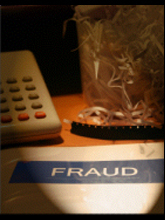 33.6% of all personal injury accident benefits claims have some element of FRAUD. 11 to 30 cents of every claim dollar is inflated by the insured in Canada. 46% of all Canadians believe it is easy to submit a FRAUDULENT insurance claim. In 2005 Canadian Insurers paid out $3.87 BILLION in FRAUDULENT claims. Only 25% of insurance companies investigate cheating insurance applicants. In 1991, personal injury claims totaled $1.7 BILLION – They ballooned by 2005 to $4.6 BILLION.